As a parent, you want to do everything to protect your baby. Keeping your precious bundle of joy safe includes keeping exposure to environmental health hazards to a minimum. 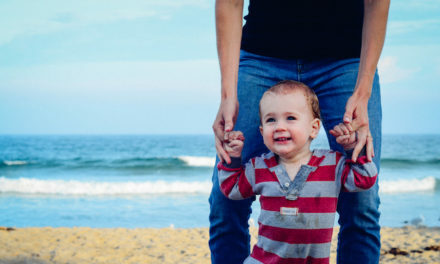 Check out the tips below, as these are designed to help you keep your baby safe when it comes to toxins and other hazards that could be found in the environment every day. Though you might expect environmental health hazards to come from outside the home, the biggest concern is the environments inside the home. The following major hazards can be highly toxic and even deadly. 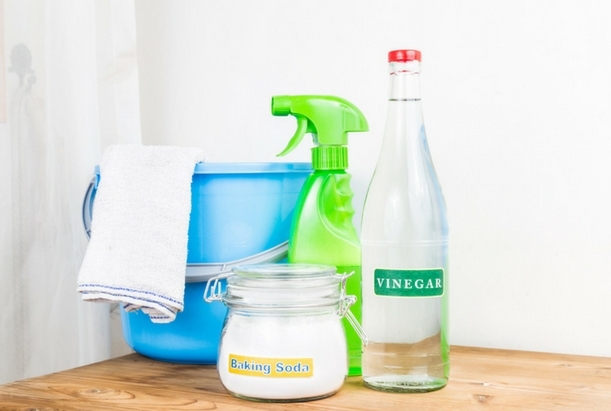 You may be surprised to learn that a lot of the conventional cleaning products out there contain some pretty harmful ingredients. Chemical ingredients in household items, including the things that you use to clean your house or add fragrance to the air, could leave behind dangerous residues that your baby could pick up. And they could even create harmful fumes. Be sure to not only store these items properly so that your baby can’t get to them, but also use them when your baby is in another room and when the area is properly ventilated. Or, better yet, opt to use natural cleaning products instead, as there are many brands that now provide consumers with various options that are safer for people of all ages. Using natural pesticides in your garden and backyard space is a great way to rest assured that your baby won’t be exposed to harmful toxins while playing outside. But it is also a good idea to avoid using conventional pesticides indoors, where your child could be exposed to harmful fumes and residues that are released by things like bug spray. Other chemicals found in products like paint or paint thinner, should also be used far away from your baby and in a well-ventilated area. These chemicals could be dangerous when inhaled. Secondhand smoke is dangerous for adults, so imagine how bad it could be for your baby! If you or your spouse smokes, be sure to quit so that you won’t be exposing your baby’s delicate respiratory system to the toxins that are found in cigarettes. And if you have friends that smoke, make sure that they smoke outside if they are visiting you at your home. It’s easy to forget that a bottle of fat burning supplements thrown into your workout bag, or a container of Tums sitting on the nightstand can get into tiny hands when you least expect it. These environmental hazards can have devastating consequences. Always keep any kind of medicinal products completely out of reach of your little one, or keep them in a childproof container. Babies are more inquisitive than you might think, and they have a tendency to get their hands on things, even when you wouldn’t think it’s possible. Of course, they also have a strong inclination to stick small things right into their mouths, which is not a good combination when it comes to numerous hazards. Overall, creating a home environment that is clean and sanitary with the help of natural cleaners and products is a great way to give your child a healthy start. Learn all you can about the environmental dangers and hazardous toxins that could harm your baby. This will make it possible to spot possible hazards quickly and take care of them before anyone is at risk. Always keep this in mind to avoid exposing your baby to unwanted toxins in the air and environment.